Lowrance’s pedigree in depth finders and fish finders is nothing short of legendary. In fact, of all the carp anglers I know who use an on-boat sonar device, not one chooses anything other than a Lowrance. However, more recently the company introduced two castable versions, each of which synchronises with an Apple or Android device and offers the angler using it unrivalled underwater information. The Pro was the first, and in itself is a highly impressive unit, but this has been improved upon with the more recent 3D version, which delivers spectacular feedback on your chosen underwater area. A whopping five transducers combine to map a wide area and each of these can be viewed in combination or individually. Pre-setting the depths adds accuracy – up to 160ft in fact – and the 3D contouring is spectacular, offering multiple viewing angles to create that three-dimensional sub-surface panorama. You can even log your favourite spots via GPS-enabled drop-pins, allowing a quick return on your next trip – no need to re-scan the area, except for searching out the fish themselves, of course. Catch pics and other specific information can be added to create a comprehensive record of each session, be it successful or otherwise. 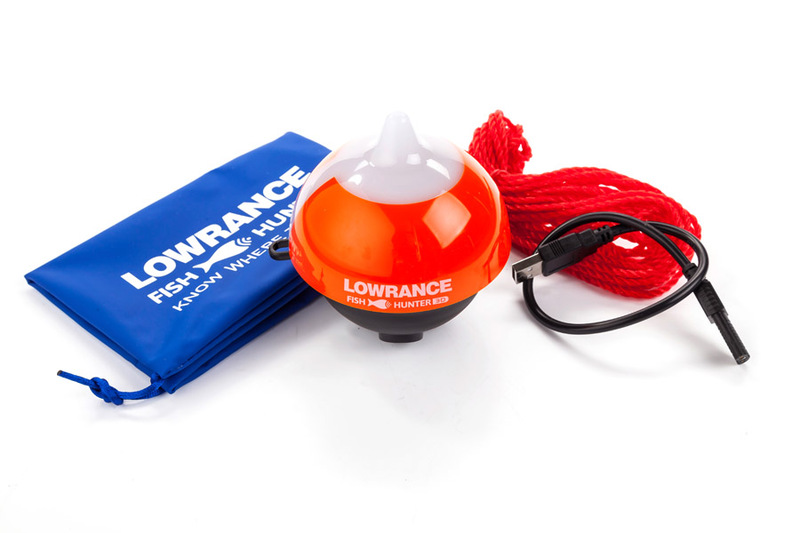 Both main units connect simply to any mainline and cast extremely easily and accurately, but perhaps the best bit about the FishHunters is that, all of this tech aside, they can fit into a large pocket on your coat. They truly are portable fish and depth finders, which relay more information than any other I have seen. The FishHunter uses its own WiFi which easily syncs to your device and there’s no need for phone signal or any other connectivity. The five transducers combine to create an unrivalled view of the lakebed, complete with fish and their depths.